You play as a veteran of World War I, Doctor Jonathan Reid as he tries to come to terms with his transition, and the hunger that drives him to kill. 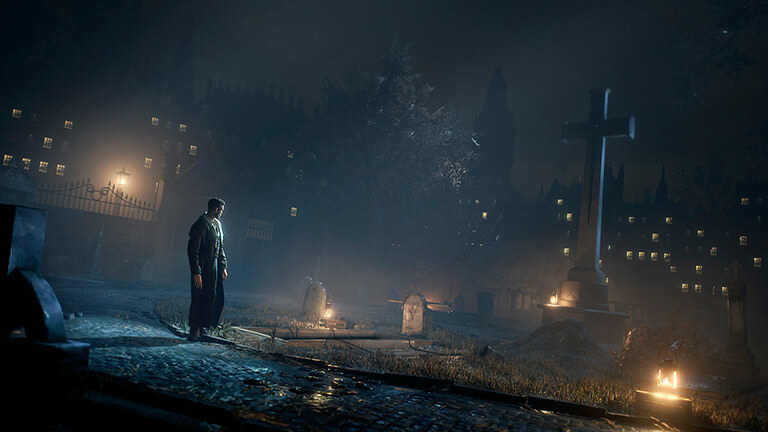 Vampyr includes a unique level-up system that plays on this narrative conundrum, where huge amounts of experience points can be gained by feeding on innocent people, compared to combat. As a doctor, you must decide how many lives must be sacrificed in order for you find a cure for this “disease”, the ultimate goal of Jonathan. Taking lives in London is not easy. Killing too many in a district may cause its infrastructure to collapse and turn into disarray. Every single life will also have a butterfly effect on the other NPCs surrounding them; a merchant’s wife could be killed and he could decide to close shop and leave town. Every life you take away will have consequences for the city and the people around them: Cursed be the choice!